When Heatherkit's camp is attacked by a pack of foxes, she runs off before the foxes can get her. Sadly, her whole Clan was wiped clean because of the foxes. Only she and her friend Icekit make it out. Her friends and family? Gone. 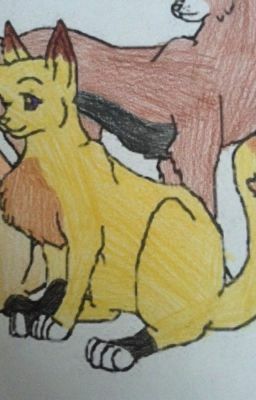 She stumbles into SunClan's camp, with a shocking surprise. ( cover was COLORED by me, not drawn ) This book is discontinued, but you still may read it.